It seems a day rarely passes for me without the gracing presence of deer. Whether I am walking, or driving my car, these beautiful animals are passing into my life this spring to remind me that all birth takes grace and patience. That when we allow ourselves to embrace the full beauty of our lives and our gifts, we will birth new beginnings with greater ease and abundance. The deer is a silent creature of the forest. In fact, its ability to be quiet and camouflage into its surroundings is its best defense against predators. That, and its ability to stop and listen, and, when necessary, run with swiftness and grace. The deer is an animal that embodies great beauty without being a threat to others. Even the male deer is a symbol of majestic strength without the attachments of danger and fear. Deer reminds us that we can be strong and confident without being arrogant and overt. That when we embody this grace and beauty, we attract the awe and respect of others without the trappings of jealousy or malice. Deer is an animal that does not hibernate, but is always quietly present in and around the forest. It knows how to adapt and survive in a place where danger lurks beside magic and abundance. The adult male deer, with its rack of antlers, can remind us of our psychic abilities, and our access to divine guidance and higher truths. Ted Andrews, in his book Animal Speak recommends counting the number of points on a male deer’s antlers when you encounter one, to gleam greater insight on its message for you. This may also be applied to a heard of deer, if you see one. Count the number and then look it up and see if this adds greater meaning to the message of this animal encounter. It is also important to check in with your own thoughts and life circumstances when deer appears for you. What is deer telling you about them? Connect with the spirit of the deer through intent and see if you receive a message. Andrews associates deer with the number 5, in particular, because it takes 5 years for a deer to grow the largest rack of antlers. He states that the deer may be telling you to look for new growth, especially intuitive/perceptive growth to occur within the next 5 years. The number 5 is associated with change and activity, and also inner strength. If you are about to have a new baby, or have a young child at home, the deer can serve to remind you of the importance of nurturing and protecting your child from outside energies and influences. This can be applied to anyone, not only infants and young children. The deer is a vigilant and attentive care-giver, reminding us of our own need for self-care in a world still permeated with too much fear. This morning, when I encountered a deer, it was literally running away in fear. I was walking with a friend and we had our dogs with us. Not coincidentally, we had been talking about the fears we had for our children in a world where we could not always count on them being safe. When you see a deer, stop for a moment and check in with your own fears. Ask yourself what is holding you back. Is there something, fear-based, that needs releasing? Do you need to trust more? To embrace the beautiful gifts you are reluctant to birth? Are you being kind and gentle to yourself and others? 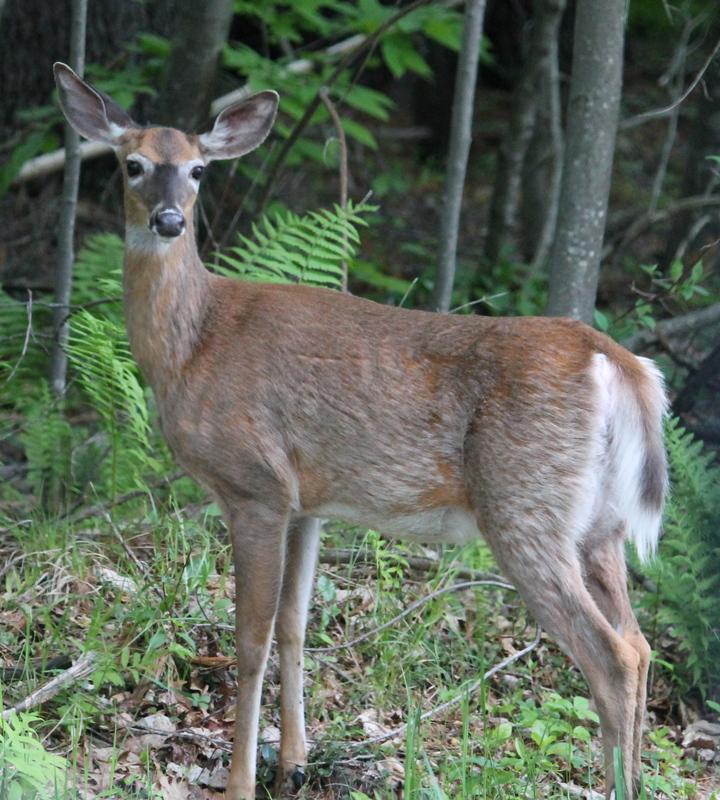 Take a moment to listen, the deer has wonderfully large ears, what do you hear? This entry was posted in Animal Messengers and tagged Animal Speak, Beauty, deer symbology, deer totems, fear, Ted Andrews, the number 5. Bookmark the permalink. Wise beyond your years Alethea! Thanks! Thanks, Lori 🙂 It’s the wisdom we carry with us from many lifetimes.